February 17, 2009 by Ken Ward Jr. In the wake of last week’s federal appeals court ruling, the U.S. Army Corps of Engineers could be poised to begin issuing dozens of new mountaintop removal mining permits. At least three dozen Clean Water Act permits for coal companies are currently pending at the Corps’ district office in Huntington, an agency spokesman told me this afternoon. With a very quick check, I was only able to find detailed records on two dozen of those permits. But counting only those, coal operators are proposing to bury nearly 65 miles of Southern West Virginia streams with valley fills, stream crossings and sediment ponds, according to Corps permit documents and public notices. Of course, that number is far from official and is only a preliminary check of the few records that the Corps makes readily available to the public about its mountaintop removal permit process. Lawyers for citizen groups and the Corps have wrangled repeatedly overÂ whether the agency gives adequate public notice and makes sufficient information available about these permits. In the last two weeks ago, Corps officials issued public notices for three large surface mines in Boone and Mingo counties.Â Those three operations alone would involve 18 valley fills that would bury nearly nine miles of streams. 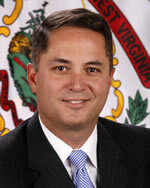 A month ago, U.S. District Judge Irene M. Keeley ordered the Manchin administration to obtain water pollution permits for the abandoned mine sites it maintains under the West Virginia Department of Environmental Protection’s Special Reclamation Program. Reading DEP Secretary Randy Huffman’s recent response, I have to wonder if Judge Keeley knew what she was getting herself into. It is extremely difficult for WVDEP to predict, with any accuracy, how much time will be needed to apply for, and obtain NPDES permits for all forfeiture sites needing water treatment. While it may end up sounding like a bizarre bit of bureaucratic nonsense — come on, DEP giving itself a permit? — the issue in the federal court lawsuit here is pretty significant for the state’s future water quality, and especially for who ends up paying the tab for the damage from past coal mining abuses. What happened to Manchin’s power line tax? Writing a quick story for the Gazette Web site and our print edition about a recent ruling in the TrAIL power line caseÂ reminded me of something that was clearly missing from Gov. Joe Manchin’s State of the State address last week. The governor talked a lot about energy, but did not mention one word about his promise to introduce a “transmission tax” on new high-voltage power lines such as TrAIL. The governor had initially announced this idea last May, but repeated his promise in August, just after the Public Service Commission issued its ruling approving TrAIL. Manchin had said he hoped to use part of the revenue from the tax to offset electricity rate hikes that fund construction of such projects, and to provide new revenue for the state and for counties where the TrAIL line would be located. Manchin even went so far as to warn Allegheny Energy and other utility companies to get behind his plan, or face his opposition to their projects. But none of that came up last week, when Manchin announced his plans for this legislative session. He still plans to introduce it. Don’t have a specific date — they’re working on it. Word just in today from the Sierra Club that the Obama administration appears to be taking the first action toward perhaps writing regulations to limit greenhouse gas emissions from coal-fired power plants. 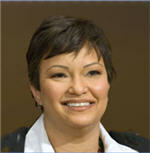 Lisa Jackson, administrator of the U.S. Environmental Protection Agency, has told the Sierra Club her agency would reconsider a Bush administration ruling on the matter. I’ve posted Jackson’s letter to the group here. The back story here is that the Bush administration made a last-minute ruling to block regulation of carbon dioxide emissions from coal-fired power plants. Former EPA administrator Stephen L. Johnson issued that opinion after a November ruling in which the federal Environmental Appeals Board concluded EPA had not come up with a good reason not to limit greenhouse emissions from Deseret Power’s 110-megawatt Bonanza Plant along the Utah-Colorado border. No criminal charges in Crandall Canyon? A federal prosecutor investigating the Crandall Canyon disaster sounds like he has no plans for filing criminal charges in the August 2007 incident that killed six miners and three rescue workers. “That’s what makes it a very difficult thing because emotions are very high, and you have victims of a tragedy that are crying out for justice,” Tolman told the AP. House Labor Committee Chairman George Miller and the federal Mine Safety and Health Administration sought criminal probes of Crandall Canyon, and MSHA has already sought $1.85 million in civil fines from Murray Energy and its engineering contractor. Also, recall that a Labor Department Inspector General’s report found thatÂ MSHA itself was negligent at Crandall Canyon, citing lax review of the mine’s roof control plan and poor follow-up inspections. And, an independent review found that Bush administration budget cuts, staffing reductions and the emphasis on “compliance assistance” played a role at Crandall Canyon and other mine disasters in 2006 and 2007. February 16, 2009 by Ken Ward Jr.
Coal industry supporters have had some success in pitching negative media stories about the recent upsurge in peaceful civil disobedience protests against mountaintop removal operations in Southern West Virginia. Two Charleston television stations and one weekly business publication picked up the story of Mike Roselle, a longtime environmental activist and his involvement in the protests. But reports in local media went out of their way to paint the protesters, especially Roselle, as violent. Last year, Gov. Joe Manchin caused a big stir when he filed a “friend of the court” brief in DuPont Co.’s appeal of a nearly $400 million jury verdict against the company in a case brought by residents of the town of Spelter, W.Va. In the wake of Friday’s big victory for the coal industry at the 4th U.S. Circuit Court of Appeals in Richmond, Va., I thought I’d remind readers that Manchin also weighed in on this case — on the side of Massey Energy (whose permits were at issue) and the coal industry as a whole. The legality of coal mining, as has been practiced in West Virginia since the [Clean Water Act] was passed in 1972, is now subject to question. In short, coal mining is vital to the economic survival of West Virginia â€” the eradication of this industry would cause devastation to thousands of West Virginians, shortfalls in general revenue, a constriction of state and local services, and the destabilization of the economy. 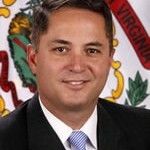 As a result of this case and the others which have preceded it, those who desire to obtain environmental permits in West Virginia have been forced to meet greater requirements than for the same federally based regulatory programs in any other state. The difficulties responsible mine operators are having in obtaining permits to mine West Virginia coal, due to litigation, [are] becoming a threat to the stateâ€™s ability to continue to provide the nation with a stable source of energy and contribute to national security. I’ve posted a copy of the Manchin brief here for anyone who is interested. — The New York Times published a fairly long Valentine’s Day story about the ongoing war of words between the coal industry, coal-powered utilities and environmental activists who want to wean the nation’s appetite for coal. The article focused on Duke Energy CEO James Rogers. Rogers is a bit of a darling of the Times, and was the subject of a previous flattering profile in the paper’s Sunday magazine. Â Mr. Rogers, 61, may adhere to the pro-coal sentiments of many of his peers, but he is hardly a typical captain of the energy industry. Five years ago, he began advocating for climate change legislation at a time when some companies were still saying human activity had nothing to do with global warming. Mr. Rogers, a native of Birmingham, Ala., considers himself an environmentalist and calls his decision to move forward with the new plant, made shortly after he became chief of Duke in April 2006, a difficult one. Environmentalists aren’t as keen on Rogers. â€œAmong the utility guys heâ€™s the most dangerous because he talks a good game, but his actions are among the worst,â€ Bruce E. Nilles, who oversees anti-coal initiatives for the Sierra Club, told the Times. There was also a recent report, Duke Energy: the Power of Green in North Carolina, which examined state-level campaign contributions by Rogers’ company as Duke sought favorable state action on a host of energy matters, including approvals for a new coal-fired plant. 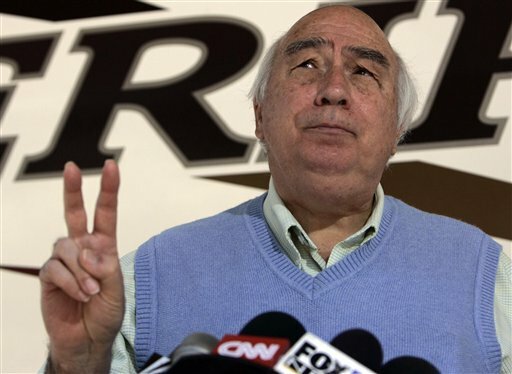 — The Associated Press provided an update to the latest fight between Murray Energy and the federal Mine Safety and Health Administration (See Bob Murray is at it Again). Apparently, Murray has shut down a Utah longwall mining operation in a standoff with MSHA over safety concerns following a series of “bounces” — the same type of dangerous mine collapse that caused Murray’s Crandall Canyon disaster — at the West Ridge Mine near Price, Utah. — West Virginia lawmakers are promising to demand monthly reports and closely watch over the state DEP to force the agency to do a better job investigating potential health threats related to coal slurry injected underground. (for background, see Seeking slurry answers and missing deadlines). — TVA CEO Tom Gilgore admits that the coal-ash spill was, in fact, a catastrophe, contradicting the talking points issued by his company’s PR department. The weekend papers brought two very different versions of what Massey Energy President Don Blankenship’s goal was in spending millions of dollars on the 2004 West Virginia state Supreme Court race. First came a New York Times interview — played on the front page of their print edition –Â with Blankenship. The Massey executive repeated the standard line in the company’s U.S. Supreme Court briefs: That he wasn’t trying to help Republican candidate Brent Benjamin win the election; he was just trying to make sure that Democrat Warren McGraw lost. The report allows the contributor to choose whether he was spending money to support or oppose a certain candidate. In each of six filings reporting his personal expenditures, Blankenship stated his purpose was to support Brent Benjamin – not oppose Warren McGraw. No anti-McGraw language can be found in the reports. Interestingly, Benjamin has made the same argument that Massey has: That Blankenship wasn’t really supporting him in the election, and was just opposing McGraw. February 14, 2009 by Ken Ward Jr.
February 13, 2009 by Ken Ward Jr.
West Virginia native Kathy Mattea’s album of old coalfield songs missed out on this year’s Grammy for folk album. The latest mountaintop removal case marks a first: For the first time, a judge from West Virginia served on the three-judge panel that considered whether coal companies should be more closely regulated when they want to blow apart the state’s mountains and bury its streams with coal-mining waste. (Thanks to Viv Stockman at OVEC for the photo above). 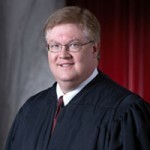 Judge M. Blane Michael had previously joined in a dissent (with West Virginia’s other 4th Circuit member, Robert King) when another mountaintop removal case went to a hearing before the entire appeals court. On Friday, Michael dissented from a key part of the 4th Circuit ruling that overturned Judge Robert C. Chambers March 2007 mountaintop removal decision. You can read the full dissent starting on page 67 of the 4th Circuit decision, which I’ve posted here. Today’s decision will have far-reaching consequences for the environment of Appalachia. It is not disputed that the impact of filling valleys and headwaters streams is irreversible or that headwater streams provide crucial ecosystem functions. Appeals court rulings aren’t something that most people ever have to spend much time trying to sort out and understand. I never went to law school. I’m just a newspaper reporter (and now, a blogger). But I thought I’d try to give a little perspective into what is going on behind the huge ruling for the coal industry Friday by the 4th U.S. Circuit Court of Appeals. For all agency actions, a reviewing court must set aside the action if it is found to be “arbitrary, capricious, an abuse of discretion, or otherwise not in accordance with law.” (That’s in quotes, because it’s citing a prior court case, Citizens To Preserve Overton Park Inc. v. Volpe). What’s that mean to the mountaintop removal case? Mountaintop removal opponents may be licking their wounds for some time, after the smack down they got on Friday from the U.S. Circuit Court of Appeals in Richmond, Va.
Sure, there’s at least one other major case over Army Corps of Engineering permit practices pending. 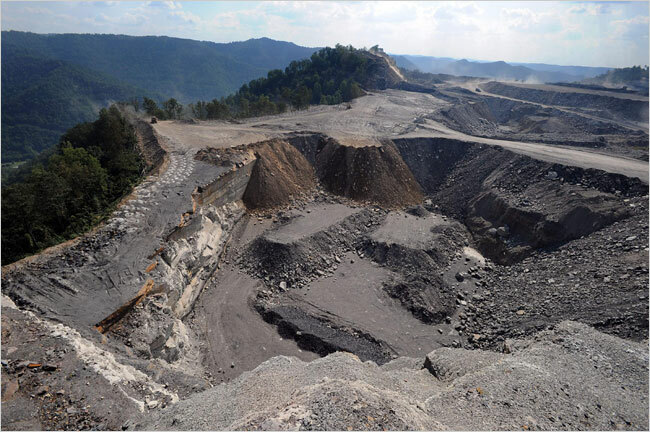 Citizen groups are waiting for U.S. District Judge Joseph R. Goodwin to decide that one, which focuses on the corps’ use of nationwide permits to approve mountaintop removal valley fills. But what environmental groups — and the coal industry, for that matter — are really waiting for now is to what, if anything, President Barack Obama decided to do about mountaintop removal. Pressed for more during the campaign, Obama aides said little. The new president may indeed be against mountaintop removal. But he certainly hasn’t said what exactly he plans to do to stop it. And whatever actions Obama might take would certainly be fought hard by the industry, and opposed in Congress by Sen. Robert C. Byrd, D-W.Va. Still, environmental groups remain hopeful. Things have been pretty focused on the mountaintop removal ruling today, but I wanted to pass on this information, the most current I’ve got about the status of coal-related funding in the federal stimulus package. The opinion speaks for itself.Â The Court of Appeals has reversed the injunctions that set aside permits issued by the U.S. Army Corps of Engineers for valley fills incidental to coal mining operations.Â The ruling is 84 pages and the Department continues to review. A panel of federal judges today ruled in favor of the U.S. Army Corps of Engineers in a controversial mountaintop removal mining case. 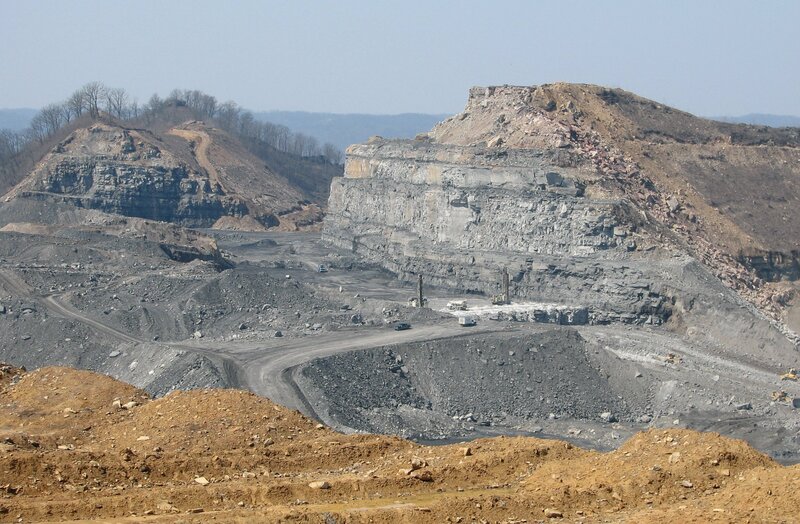 The ruling will permit mining companies to conduct devastating mountaintop removal coal mining operations without acting to minimize stream destruction or conducting adequate environmental reviews.Â As a result, Appalachia could now be facing up to 90 new mountaintop removal coal mining operations, which would destroy huge swaths of the Appalachian Mountains. Â Even though we have not had an opportunity to fully review the 4th Circuit’s decision, we are pleased with the fact it has rejected Judge Chambers’ previous ruling. This should put an end to much of the uncertainty regarding the issuance of surface mine permits. We disagree with the court on both the lawÂ and the facts, and on the science. Roady said environmental groups will consider asking the full 4th Circuit to reconsider the case (something called a rehearing en banc), and could even file an appeal with the U.S. Supreme Court. What’s your reaction to the ruling? –Â Dennis W. Shedd of South Carolina, who was appointed as a district court judge by the first President Bush and to the appeals court by President George W. Bush. In this case, Judge Gregory wrote the 2-1 majority decision. Judge Michael dissented in part. 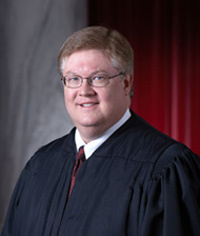 This was the first time that an appeals court judge from West Virginia has taken part in one of the mountaintop removal appeals. I’ve written before about how the previous three cases drew very similar panels of conservative judges because of an unusually large number of recusals by members of the circuit. For those new to the mountaintop removal issue, this is the fourth time that the 4th U.S. Circuit Court of Appeals in Richmond, Va., has overturned a federal judge in West Virginia who tried to curb mountaintop removal mining.